Welcome to another installment of If My Book, the Monkeybicycle feature in which authors shed light on their recently released books by comparing them to weird things. 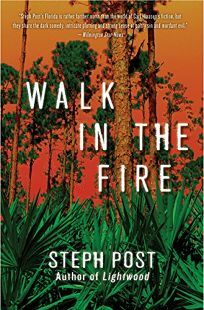 This week Steph Post returns to talk about her new novel, Walk in the Fire, the sequel to Lightwood, out now from Polis Books. If Walk in the Fire were a Star Wars film, it would be The Empire Strikes Back. For obvious reasons. If Walk in the Fire were a musical instrument, it would be a hurdy-gurdy. For less obvious reasons. If Walk in the Fire were an insect, it would be a praying mantis. The ladies aren’t taking any prisoners this go round. 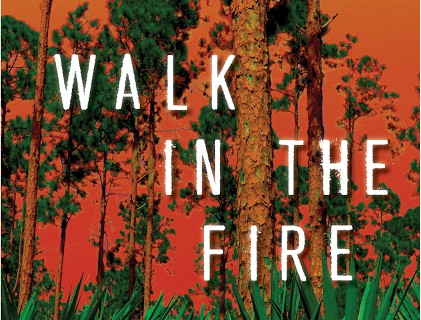 If Walk in the Fire were a landscape, it would be a mosquito-infested swamp. Cypress knees would peek up out of water filled with tannins and alligators would bellow in the distance. Or perhaps they’re closer than you think. If Walk in the Fire were a crayon color, it would be Burn-Me-Down Red. If Walk in the Fire were a Knight of the Round Table, it would be Sir Mordred. Its motives are highly suspect. If Walk in the Fire were a candy bar, it would be a Butterfinger. If Walk in the Fire were an awkward high school moment, it would be the one where your boyfriend makes out with your best friend on the homecoming dance floor. You deck both of them in the parking lot later, of course. If Walk in the Fire were a smell, it would be gunpowder on your fingertips. If Walk in the Fire were a wish, it would be to just make it out of here alive. Steph Post is the author of the novels Walk in the Fire, Lightwood and A Tree Born Crooked, and her short fiction has most recently appeared in Haunted Waters: From the Depths, Nonbinary Review and the anthology Stephen King’s Contemporary Classics. She has been nominated for a Pushcart Prize, a Rhysling Award and was a semi-finalist for The Big Moose Prize. She lives in Florida. Find out more at stephpostfiction.com or follow her On Twitter at @stephpostauthor.